Today was a rather routine day - I went to work, I came home, I played video games. That is of course until my girlfriend got home and presented me with a (very wee) gift. 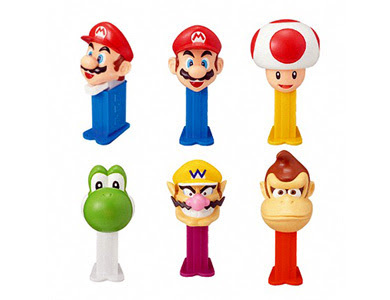 It was a tiny, imitation Wii Remote candy dispenser called (naturally) KLIK-on. Licensed by Nintendo no less. I decided to take some photos of my experience opening the KLIK-on and share my personal review. The dispenser, surprisingly, is quite comfortable in your hands, and feels exactly like you'd think a miniature Wii Remote would. Since it's sans-batteries the KLIK-on weight is much lighter than a Wii Remote, however you can store candy in the battery compartment to add that little extra milligram of authenticity. Well enough of the descriptions, for the unveiling of the KLIK-on it's all it's grandeur please visit our Page on Facebook. Yes, you certainly could. I didn't take a picture of the battery compartment but it's quite spacious. You could hide a lot of things in there.